The Reggae Boat performs regular boat trips up the north east of the island visiting Koh Maa Island and Mae Haad beach for the best snorkelling on Koh Phangan. Here one can swim at the coral reef and see an amazing variety of beautiful fish, corals and marine life. Price per person is 650 Baht. 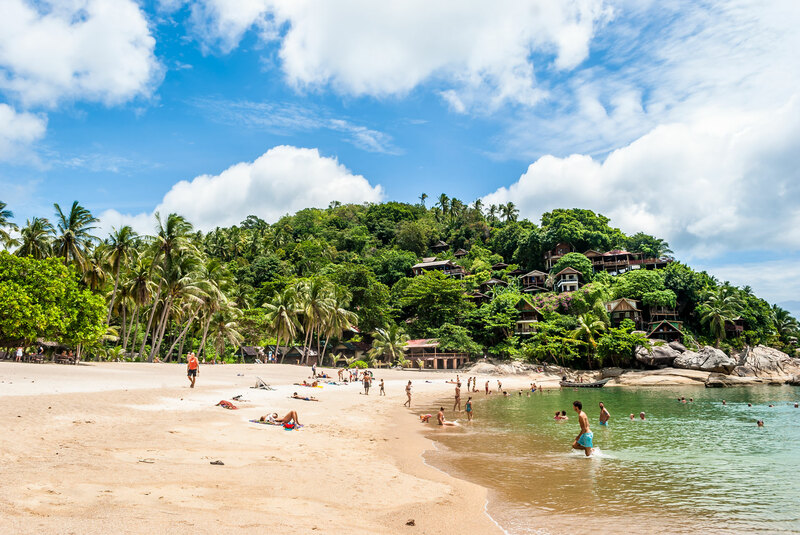 If you would like to organize your own trip to beaches of your own choice this is also possible. Upon request fishing trips can be organized either by day or by night, and in the evening the kitchen can barbeque your catch. 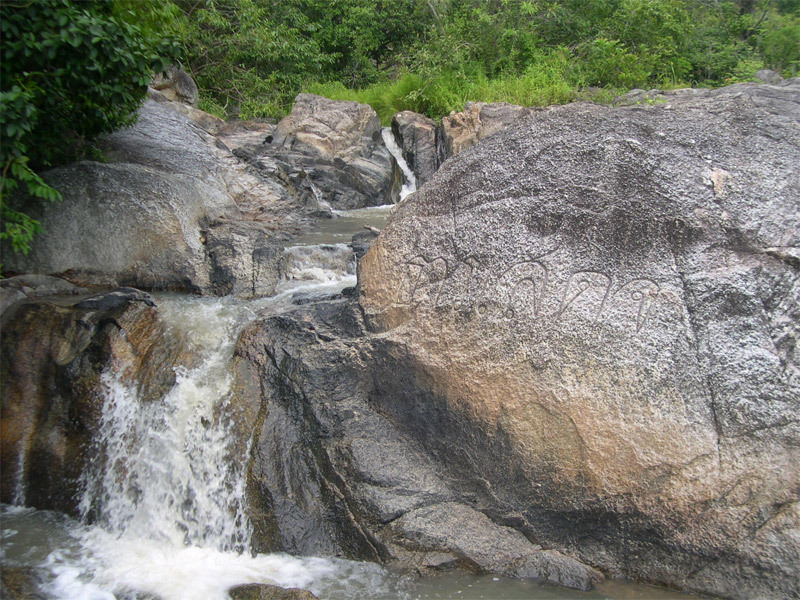 Any optional activities, such as private trips, elephant trekking, etc can be organized at reception. Please just ask - thanks! 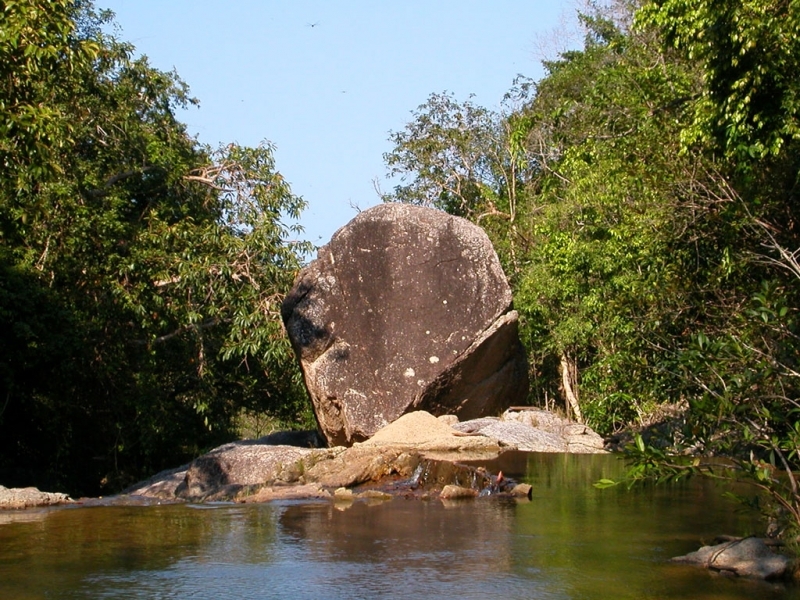 From here one can follow the many jungle paths up the river to the waterfall, bathing in the various pools along this beautiful stretch of the river. 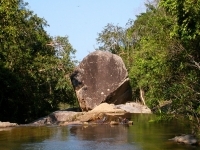 The river and waterfalls once visited by their Majesties King V, VII and IX, who carved their initials on the huge granite rocks that grace this river, have now become one of the most tranquil and popular places on the island to visit and relax. 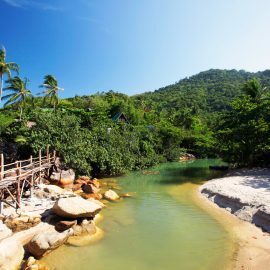 One can walk all the way up this river, stopping to cool off in the various pools along the way, before reaching the jungle temple at the top of this stretch at Thong Nang - Wat Thong Nang, where one is able to sit and talk or meditate with the resident monk. 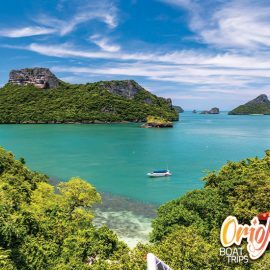 Also, one can walk along the coast on the disused road to Thong Nai Pan, this takes about one hour, and is a scenic walk, taking breathtaking views of the double bay of Thong Naipan Yai, and Noi. 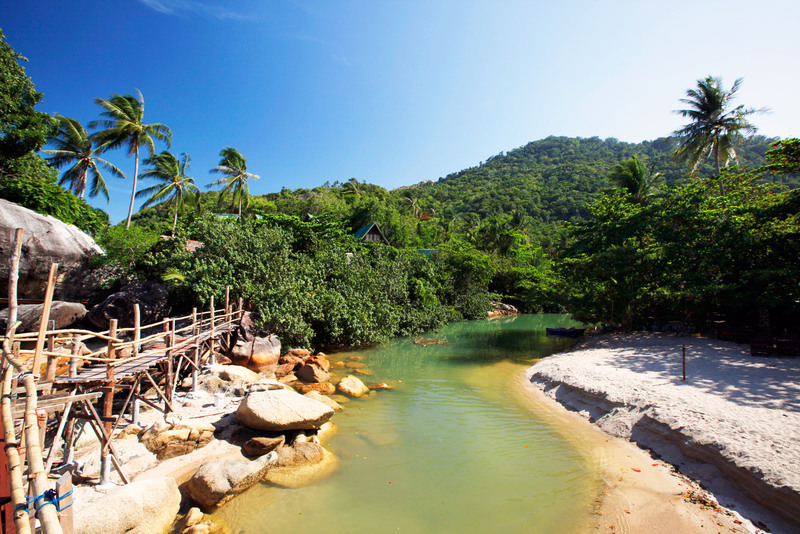 On a clear day, one is able to see over to Koh Tao. In the other direction one can walk to Than Praphat Waterfall, at Had Namtok, this is more of a jungle trek, as the path is not used often, this takes about an hour and a half, and from there one is able to continue down the coast to Had Yang, Had WaiNam, Had Tien, Had Yao, and then Had Rin. 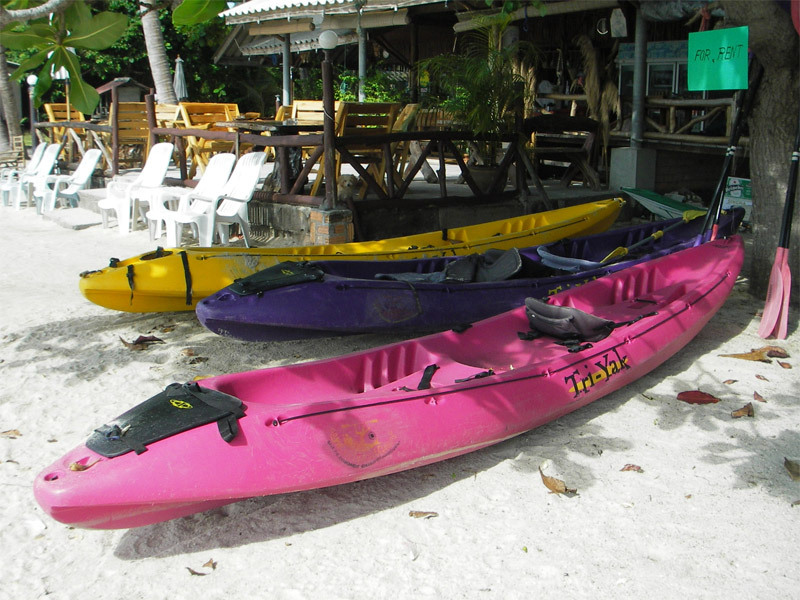 Also available from a neighbouring resort on the beach are Kayaks for rent. 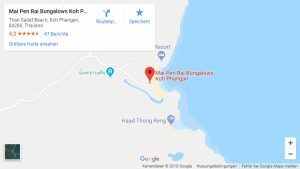 One can kayak to the neighbouring beach of Thong Reng, or go to the Bat Cave, or further afield to the neighbouring beaches of Thong Naipan Yai, and Thong Naipan Noi. Or just ... 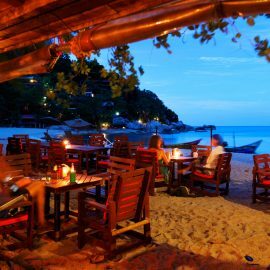 Relax on the beach in the hands of an experienced 'Wat Pho' masseur, what more could one ask for? 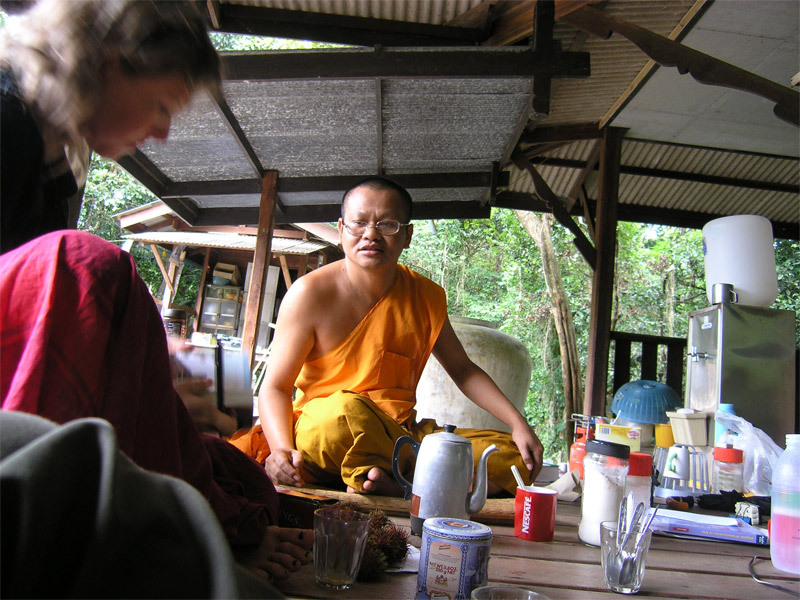 Mor Seng who has been with us for many years is a popular man on the beach. He has a little Sala beside our restaurant and is available for massage throughout the day. He offers oil massage, Thai massage, Injury massage and Hot Oil Massage. Just come and ask him to fit you into his day!